My Creative Time: 48 Hour FLASH Sale & Blog Hop! Good morning my sweet friends & welcome to another "48 Hour Flash Sale!" This sale is for 48 hours ONLY that is going on right NOW & will end on Sunday, January 7, 2018 @ 7am PST. We have an AMAZING new kit we are showcasing called "I Adore You KIT" This kit will consist of a stamp set with coordinating dies along with a coordinating STENCIL! I am SUPER EXCITED to share this new "EXCLUSIVE" kit with all of you! Now, since this is an "EXCLUSIVE" kit, basically once these kits are sold out, they are gone FOREVER! Okay, next person in the blog hop is the TALENTED Miss Emily! P.S. ALL 12 winners from Dec 2017 orders will be announced on Monday, Jan 8, 2018! I apologize for the delay. Good Morning Miss Emma!!! OMG What a Magnificent Kit!!!! 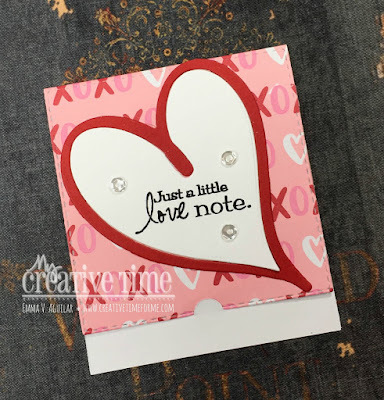 I am so loving what you created using it too.....Gosh Your Doily Tag is so Beautiful and your Little Love note is Adorable!! Oh My Goodness....Talk you making my/our Friday total Fabulosity well you sure did!!! Thanks for all the Spectacular ideas for using it.....as you spread your Miss Emma Craftabulous Inspiration!!! Wishing you a Friday that is total Fabulosity too!! Your projects are so sweet, Emma!!! Love this kit! These are darling. Love all of the hearts and this release. Thank you again Miss Emma. 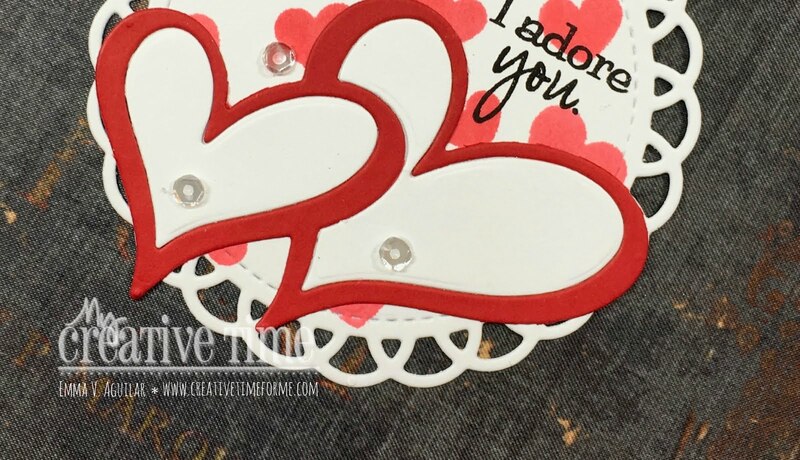 Gorgeous creation perfect for valentine's day! Emma, your tags are so adorable. This kit is beautiful for sure. Great kit Emma! I love that you went back to the retro font! I happen to love all of my sets used with this font! What a wonderful kit! Doing the hop then running over to the store!! Thanks for all your great inspirations!! Great kit. Love the hearts. Can't wait to see what everyone else has made. What a cute stamp kit. Love your pretty projects, too. So glad to have found you (via Gaylynn's blog). I like the projects you made with this great kit. Thanks for sharing how you fix boo boos. Your projects are so cute and easy using this new kit! What a fun kit and I loved the team projects also...they always do a great job. Super cute kit Emma! I love all the fantastic inspiration for Valentine's Day! Super job everyone! Such a darling doily tag and Valentine greeting card! This looks like a really adorable kit! You are always so innovative in making your stamps super versatile! Love getting more bang for my buck! Thanks for keeping up the amazing job!!! I will always LOVE your designs and products!!! Happy 2018!! Ooh, how CUTE Emma! What adorable tags! Lovin' the new kit - can't wait to see what the other ladies created! :) Have a great weekend! Awesome projects!! Great for Valentines Day~! This set is just awesome! 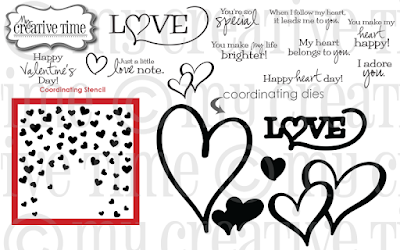 I'm getting excited for Valentines Day with all the hearts!! 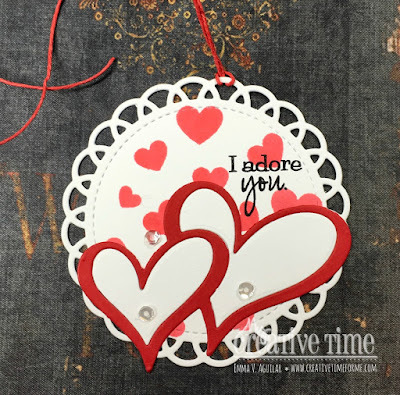 I love the round doily tag! Love your projects and those wonky hearts! I love this "I Adore You" kit and your card is so cute! Another set that I love is the "Chill Out". So cute! Lovely projects! Your kit is quite adorable too! Loved seeing what everyone created with it. So beautiful!